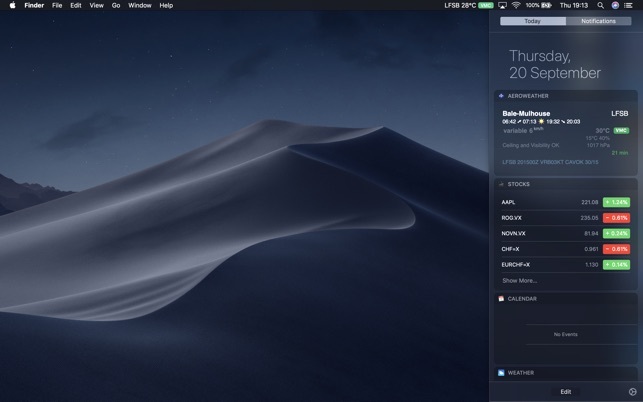 NOTE: this a is menu bar app. 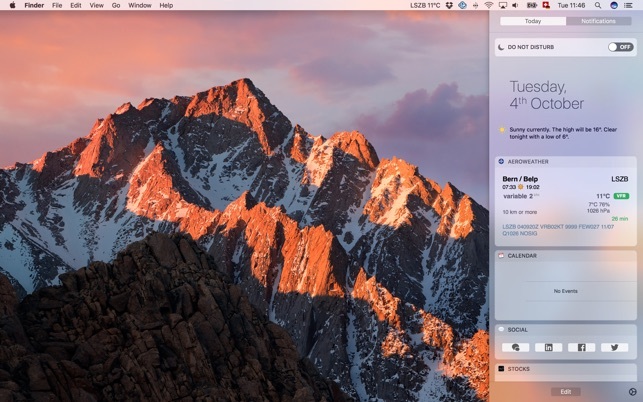 Once you open the app an AeroWeather icon will appear in the menu bar (as shown on screenshots). 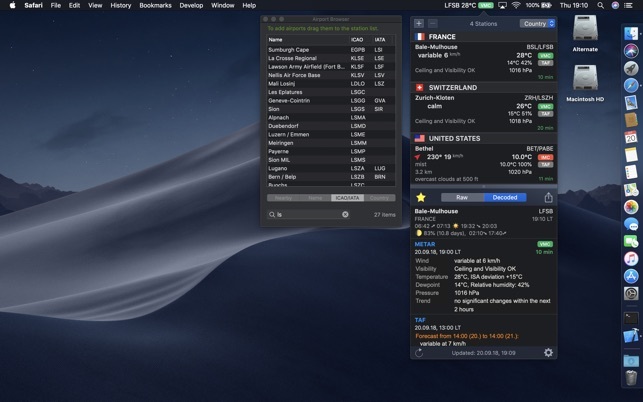 Now also available for your Mac - a simple and clean version of AeroWeather. Shows METAR and TAF with accurate data in the well known AeroWeather layout from iPhone and iPad. - Sharing of METAR/TAF via E-Mail, Twitter, Messages etc. AeroWeather uses weather data from freely available sources like US NOAA, which cannot be guaranteed. The cost for AeroWeather is for development of the app and not to pay for any weather data. The version I'm using (1.5.2) works great. 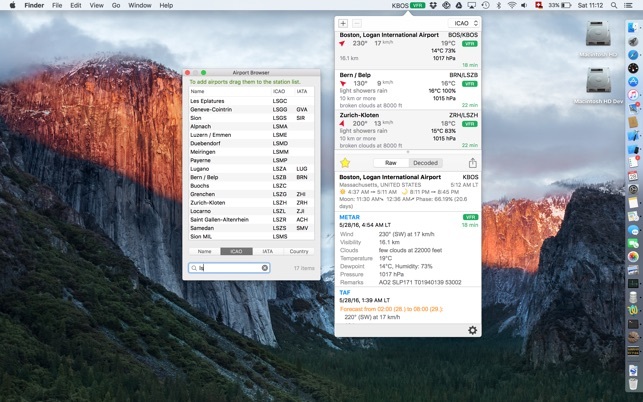 Being able to automatically cycle through your stations in the menu bar is fantastic for deciding on whether to take that cross-country flight or not. Overall, it is a good blend of handy and non-intrusive. Setup and use of some features is not always intuitively obvious but an email or feedback has always brought a response within 24 hours. The new Alerts feature has already proved its worth.